Despite all of the controversy swindling around Liberty University's president these days, Ergun Caner, the school's leaders have taken the liberty (pun intended) upon themselves to get into even more controversy! What you ask? 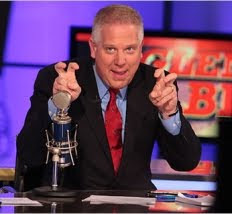 This time, they are inviting anti-Christian Social Justice, idiot-Mormon and far-right wing politician Glenn Beck to deliver their commencement speech. This news broke via an announcement on Twitter this morning. Oh my gosh, Liberty, this is a complete travesty!!! Please, reconsider this invitation to Beck and ask someone else to come instead. Liberty leaders, do you not realize what kind of grave you are digging for yourselves? You are jeopardizing the degrees of your students and your entire school's credibility, not to mention the credibility of the Gospel. Reconsider this!!! I know that Liberty has had a reputation for producing a bastion of politically conservative Christian speakers and icons but this is the exact opposite, this is just downright disgusting. Liberty, you are not only humiliating yourselves, you are humiliating real Christians everywhere!!! This is a new low for Liberty and is just unreal. Honestly, I have to believe that the conservative Christians in the Bible belt are going to stand up and rally against this! Liberty...hosting a Mormon commencement speaker?!? Who'd have thought we'd live to see the day? I wonder what donors will think about this? Does Theology Matter? Aren't We All Theologians? Read Ben Witherington in 3D!! !